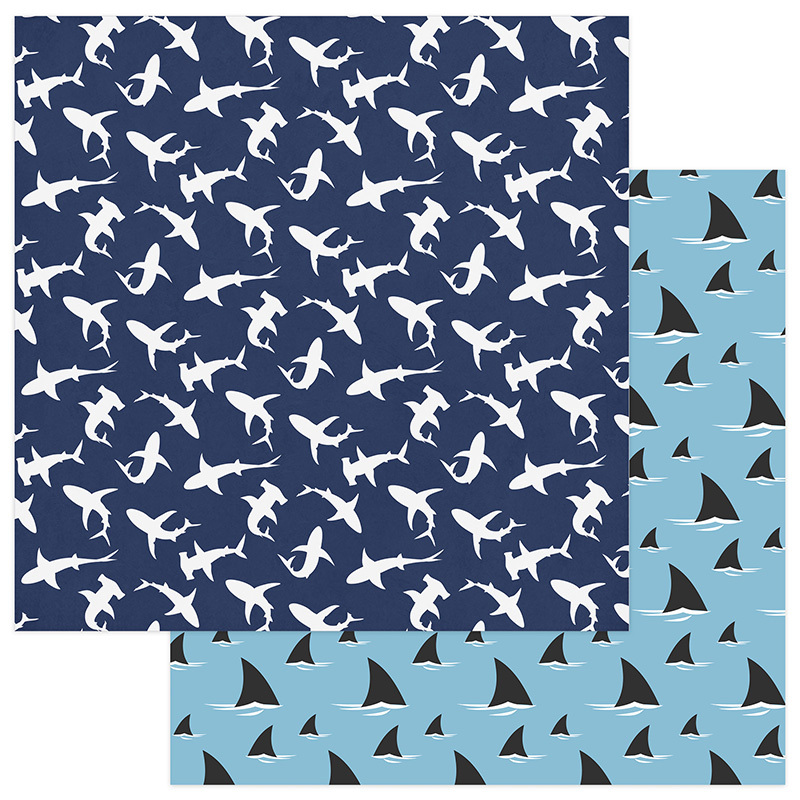 This 12x12 double sided paper has White Sharks on a dark blue background on the frontside. The reverse side has Shark Fins swimming above the water. Part of the Shark Attack Collection by PhotoPlay Paper.